Do you know where your email data is stored? Some of the larger, global, email services may tell you your email data is safe – but is it? At The Very Good Email Company your email is in a safe place. 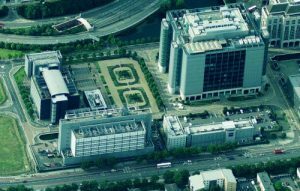 Our servers our hosted within two world-class data centres which are amongst the most secure in the UK: Telehouse London and Pulsant (formerly BlueSquare), Milton Keynes. All machines have RAID and twin PSUs fed from discrete power lines into the building. For optimum server environment there are multiple redundant UPSs and air conditioning with generators onsite. We also have physical spares onsite and on-call engineers 24/7. Daily incremental backups – which are retained for 48hrs. These are done for Disaster Recovery purposes for The Very Good Email Company only and not for the recovery of customer deleted emails. Where we can, we will do our best to restore a customer’s lost email from the logs e.g. if they have accidentally deleted it. However, to protect end user emails we recommend our email archiving and discovery platform – MessageBunker. For further information take a look at our Network.